Do you add detergent to the washer before or after you load the clothes and fill the tub with water? It’s not really something you can control with front-loaders, though you get the option with top-loaders. But Electrolux wants to take the guesswork out of it and add the detergent at just the right time — namely, well before the water even comes in contact with clothes. At the 2016 Kitchen and Bath Industry Show, the appliance maker showed off its SmartBoost technology, which premixes the water and detergent, making a cold-water wash just as effective as a hot one. Select models coming in April 2016 will have a special compartment where the detergent, stain remover, and other additives get mixed together with water. It’s about a six-minute process, but Electrolux says the result is a faster, more effective clean. Digital Trends saw a demonstration of the machine at the company’s testing facility back in December, and the strips — soiled with blood, chocolate and other common stains — looked visibly cleaner than samples from a half-dozen other machines. Normally, you need a gadget called a spectrocolorimeter to see the differences, Electrolux’s engineers told me. 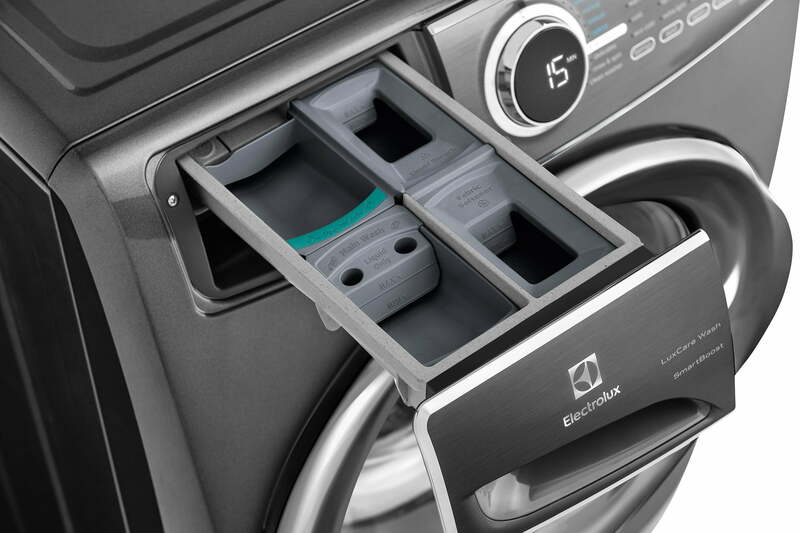 Because the solution works just as well with cold water as hot, Electrolux says the 4.3-cubic-foot machine will be gentler on clothes, too. 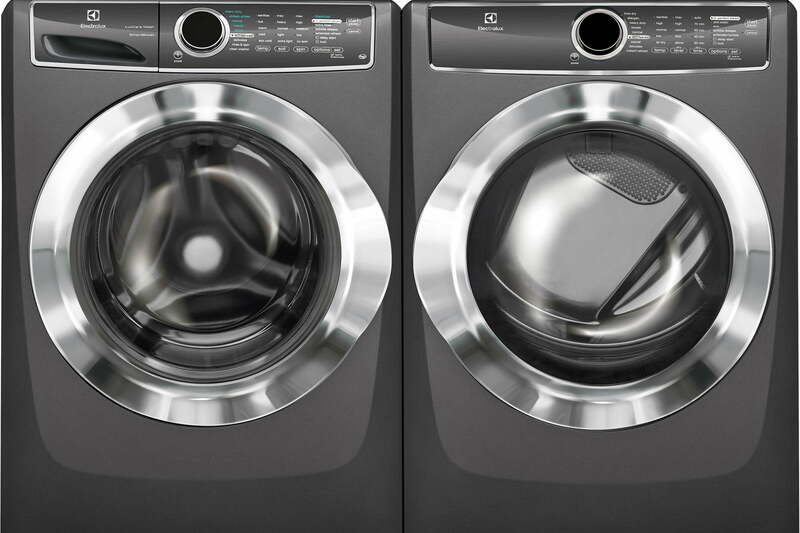 Its new Perfect Steam Washer with LuxCare Wash and SmartBoost ($1,099) could save 40 gallons of water a week compared to high-efficiency top load washers, according to the company. Also coming to KBIS is the washer’s companion dryer, Perfect Steam Dryer with Instant Refresh ($1,099, also coming in April). 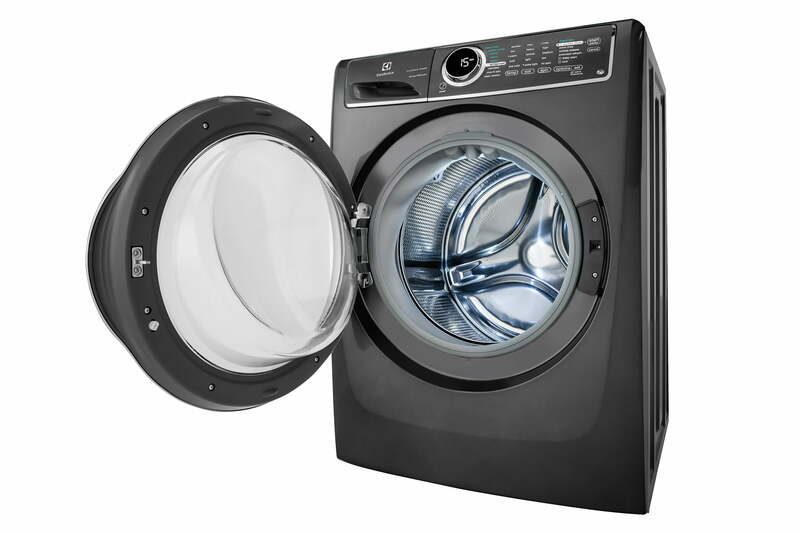 It has some nifty features, too, like 8.0 cubic feet of capacity and a 15-minute fast-dry cycle. While neither the Perfect Steam Washer with LuxCare Wash ($999) nor the LuxCare Wash System ($899) comes with SmartBoost, both have the LuxCare feature, which Electrolux says is the result of improvements to its wash actions, temperature control, and smart load sensing. The dryer pairs, the Perfect Steam Dryer with Instant Refresh and 8 cycles($999) and the Perfect Steam Dryer with 7 cycles ($899), have longer fast-dry times (18 minutes and 20 minutes, respectively). Both have the same 8.0-cubic-foot capacity, though. If those times are accurate, you can get a lot of clothes done in pretty short amount of time.